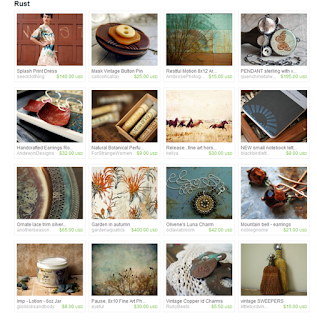 Appreciation and shout outs going to Leah Sawyer who curated the Rust treasury....It's gorgeous! Oh, the colors! There's lots of stuff to ♥ in this one... Head over and check it out! I ♥ your earrings the most! Those perfumes look interesting too!